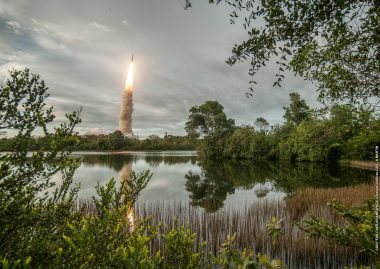 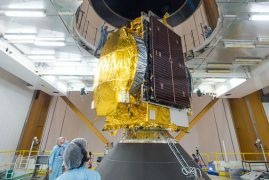 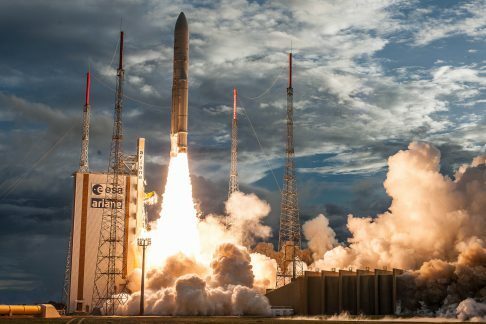 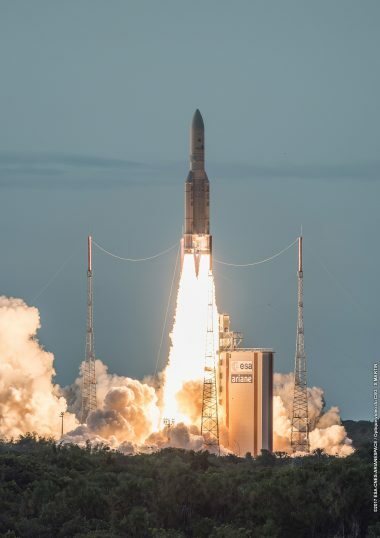 For its seventh launch of the year, and the fourth Ariane 5 mission in 2017 from the Guiana Space Center in French Guiana, Arianespace will orbit two payloads: Hellas Sat 3-Inmarsat S EAN, a “condosat” for Inmarsat and Hellas Sat; and GSAT-17 for the Indian space agency ISRO (Indian Space Research Organization). 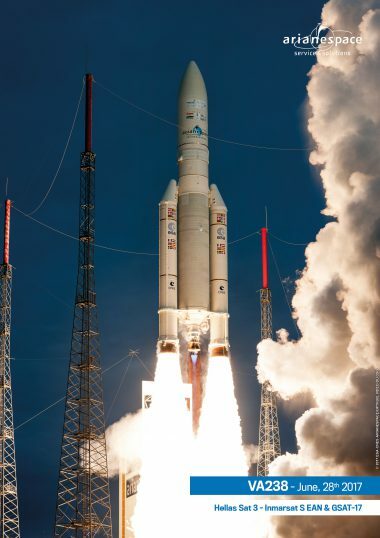 Arianespace will orbit Hellas Sat 3-Inmarsat S EAN, a “condosat” for Hellas Sat and Inmarsat. 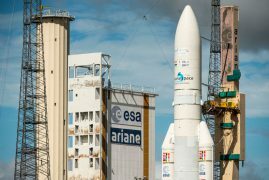 GSAT-17 will be the 21st satellite from ISRO to be launched by Arianespace. 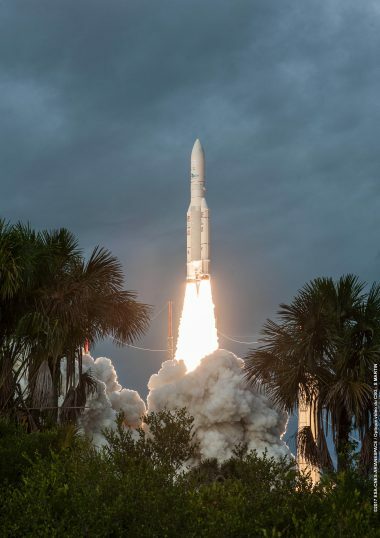 Since the launch of the Apple experimental satellite on Ariane Flight L03 in 1981, Arianespace has won 87% of the geostationary orbit launch contracts that the country has opened to non-Indian launch systems. 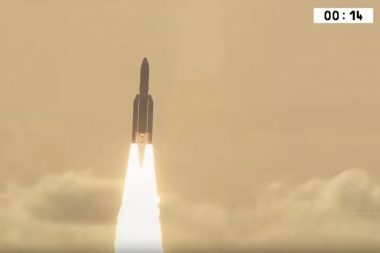 Built by ISRO, GSAT‑17 will strengthen ISRO’s current fleet of 17 operational telecom satellites. 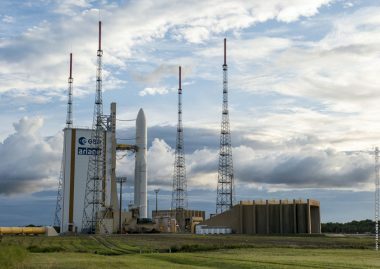 It will provide continuity of Fixed Satellite Services (FSS) in Normal C and Upper Extended C bands. 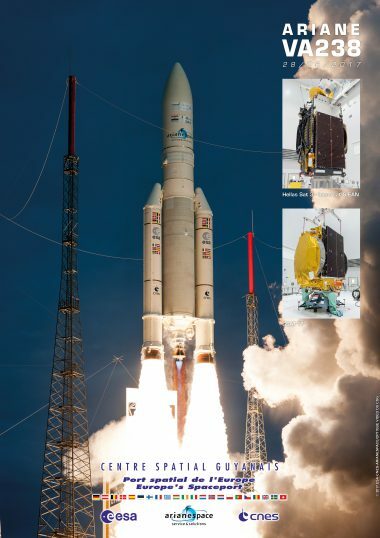 It also will provide Mobile Satellite Services (MSS) in S-band and Data Relay and Search & Rescue services in UHF band. 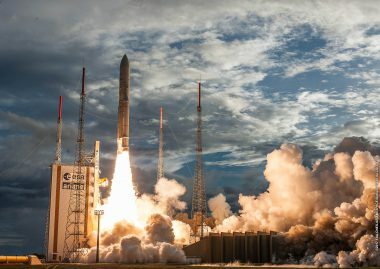 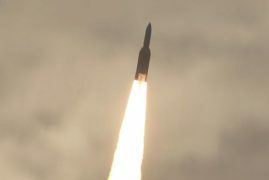 Arianespace’s Ariane 5 launches two multi-mission satellites for fixed and mobile services	The 80th consecutive success for Arianespace’s heavy-lift Ariane 5 lofted two satellites today, delivering new capacity for use in the distribution of TV and video content, telecommunications services, mobile satellite services, data relay, along with coverage of search and rescue missions.